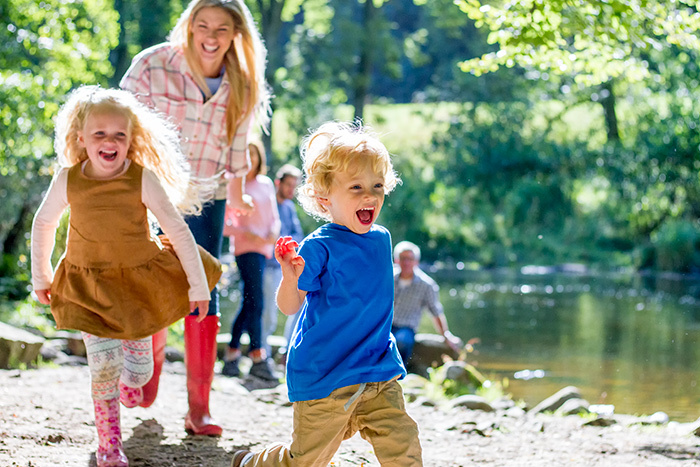 KidStart Magazine > Family Life > Holidays & days out > Location, location… is the city or the country the best place to raise kids? Location, location… is the city or the country the best place to raise kids? One of my friends has recently relocated to the South Coast and I have serious location envy. Imagine waking up to the beautiful beach every morning and being able to play on the sands with your kids every day after school or enjoy bracing walks along the Downs any time you feel like it. That's when the weather's good, of course. But there are definite advantages I can see to raising children in the country or by the coast (or both). Presumably they have more freedom and are healthier, for a start. Plus I'm presuming it's slightly easier to get into a decent school closer to home. What are the advantages of raising children in a city? Well I grew up in London and I know that I was far more street savvy than my uni friends who had grown up in rural areas. Bringing up a family here does have lots of advantages. We can go to a museum or cinema any time we want, I doubt very much I'll ever hear the words 'I'm bored' because there's nothing to do, and of course there are lots of parks any time we need some fresh air and exercise. But still I yearn for the coast and countryside. Am I romanticising it? I'd love to know what you think.